Holsters to fit your Lifestyle & Handgun. 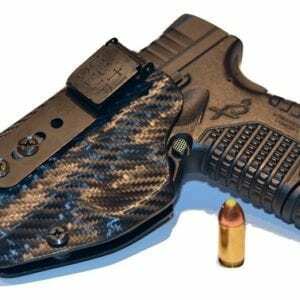 We are focused on bringing our customers nothing but the best in quality gun holsters for both men and women including concealed carry apparel, concealment holsters, OWB holsters, and much more. We will always strive to give you the best service and product possible, from gun holster belts, to concealed carry apparel, concealment holsters, OWB holsters, and much more. 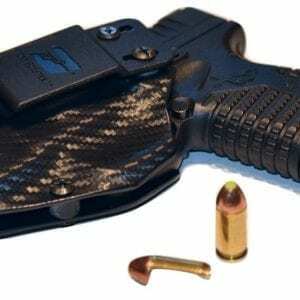 All of us here at Just Holster It - Concealed Carry Made Easy are focused on bringing our customers nothing but the best in quality gun holsters for both men and women at affordable prices. We are focused on helping you find a Holster that fits your Lifestyle, not just your gun. We cater to Buffalo, NY clients, as well as gun owners across the country, so contact our team today. 1¢ shipping is available for all orders throughout the U.S.
All our holsters come with a certified lifetime guarantee. We feel our customers deserve nothing but the best. Our Holsters are designed to not only be the perfect fit for your handgun, but to be the most comfortable for your lifestyle. "I use the Rigid IWB holster for my SIG Sauer 1911 Fastback, and carrying such a heavy pistol is at last no longer a chore. In fact, it is downright comfortable. 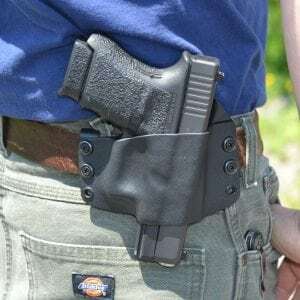 The belt clip system, unlike many of the other IWB holsters I have tried, is an easy-on, easy-off design that is also sturdy enough to keep my weapon always at the perfect cant, even as I move around. " We’re so confident you'll love our products that we back every one of them with our certified Lifetime Warranty.